Elk is a delicious alternative to mainstream meats. Our quality Elk Burgers are free of steroids and hormones. Easy to prepare, just pop a burger in the oven, in a fry pan or on the bbq. Taste the difference eating healthy makes! 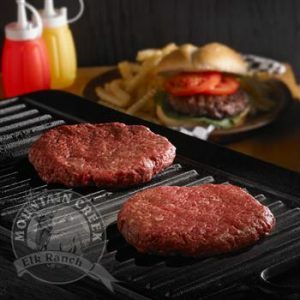 Elk Burger 2 x 8 oz.